The SAM C20/C21 family of devices include up to two Controller Area Network (CAN) modules, which facilitate a robust industrial communications protocol used in automotive, aerospace, maritime, railway vehicles, industrial automation, and medical equipment applications. 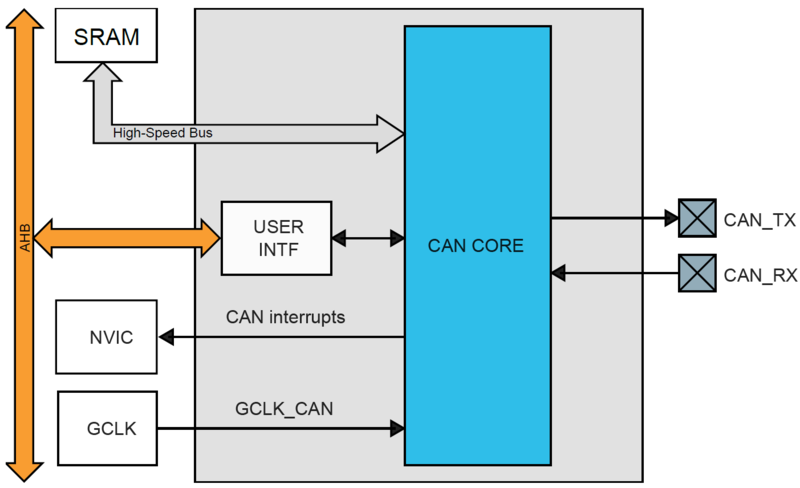 The CAN module performs communication according to the ISO 11898-2 (Bosch CAN specification 2.0 part A,B) and to the Bosch CAN FD specification V1.0. The message storage is intended to be a single- or dual-ported Message RAM outside of the module.